The government agreed to recommend a term at the lower end of an 8- to 14-month range, plus a year of supervised release and a $40,000 fine. 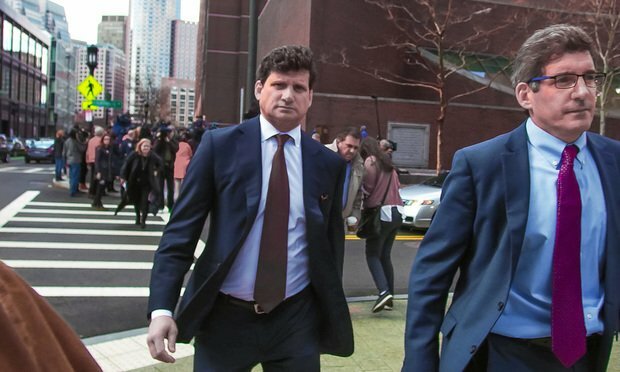 Former law firm leader Gordon Caplan, television actress Felicity Huffman and 12 other people are set to plead guilty in the college admissions bribery scandal, the U.S. Attorney’s Office for the District of Massachusetts said Monday. Caplan, the former Willkie Farr & Gallagher chairman, announced his intention to plead guilty last week. Caplan and Huffman are among 12 parents expected to be charged by information with conspiracy to commit mail fraud and honest services mail fraud, the prosecutors said. One parent will plead guilty to other charges. The charge points to an interesting gray area in the law: Where to draw the line between a legitimate settlement demand and extortion?